You are here: Home / Guides / Crescent Moon Icon in Messages: What Does It Mean? 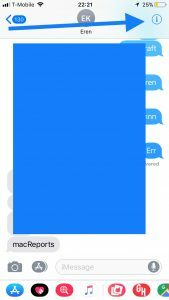 Crescent Moon Icon in Messages: What Does It Mean? You may see a crescent moon (gray or blue) symbol next to your contacts in Messages. We received some questions from our readers regarding these icons. Our readers wanted to know what did that mean? Why there were some messages had this icon, while some did not. And also how could someone remove it? See also: Message Alerts Not Working? If you see a moon symbol in the status bar (top bar) of your iPad or iPhone, that means that Do Not Disturb is enabled. Do Not Disturb lets you silence calls, notifications, and alerts. Enabling this will stop vibrations, sounds etc. To limit interruptions with “Do Not Disturb”, go to Settings > Do Not Disturb. 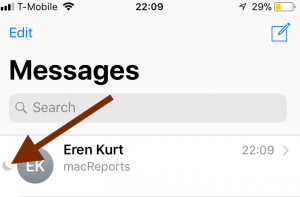 iOS lets your mute individual threads in Messages. Moon means that you have silenced the conversation by selecting the ”Do Not Disturb” (iOS 10 and earlier) or “Hide Alerts” option. It means that you have selected to mute notifications and alerts about new messages from that particular contact. 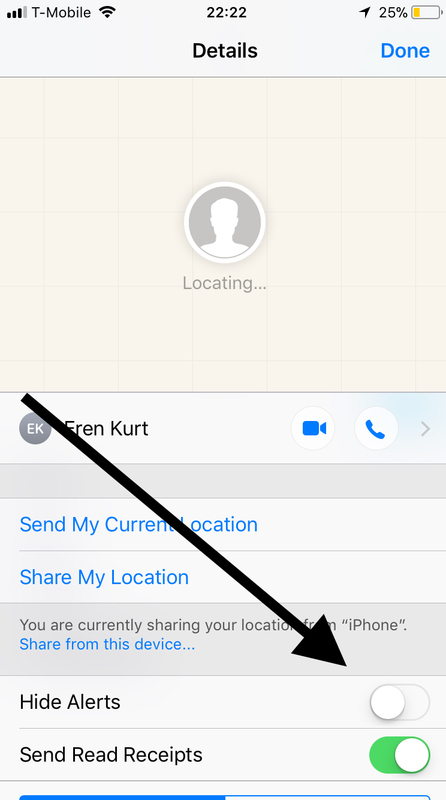 When this option is enabled, you will not get notifications (your device will not vibrate, will not make any sound etc) but you will still receive texts. then toggle off “Do Not Disturb” (iOS 10 and earlier). If you are running iOS 11, then toggle off “Hide Alerts”. You may see Blue or Gray icons. This means that you have a new, unread message. This will turn gray after you read it. 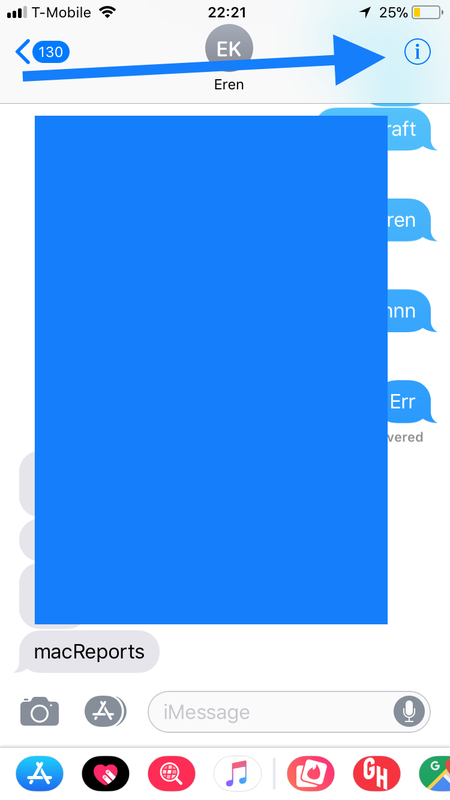 This means that texts are read / opened. Hi. I only have one contact that comes up with the blue grey moon symbol. Unsure why ?? I think it’s because that number is the only one you have on do not disturb. 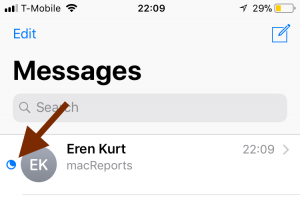 What does it mean If I sent a message to a contact and see a gray Cresent? it means you’ve read the message they sent you. I found my husband on Skype long story anyways I have his number in my contacts and whe I send a message to the number in contacts it’s normal but when I send it to the other not even logged into Skype it sends but no text back.Does this mean that he has two numbers confused??? But how did the “gray moon” get turned on for a text message in the first place? I didn’t put it on. You probably did it accidentally. 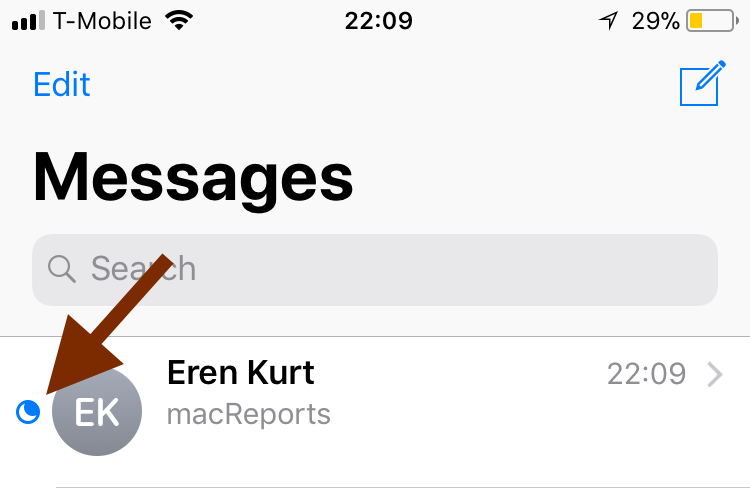 This happens to me on my mac using Messages: if you accidentally drag a contact in messages slightly to the right, a moon icon appears. If that gets clicked while you drag, then you have enabled Do Not Disturb for that contact. It can happen if you click on a contact and hold the mouse button too long: you then effectively click and drag on that contact and enabled DND. 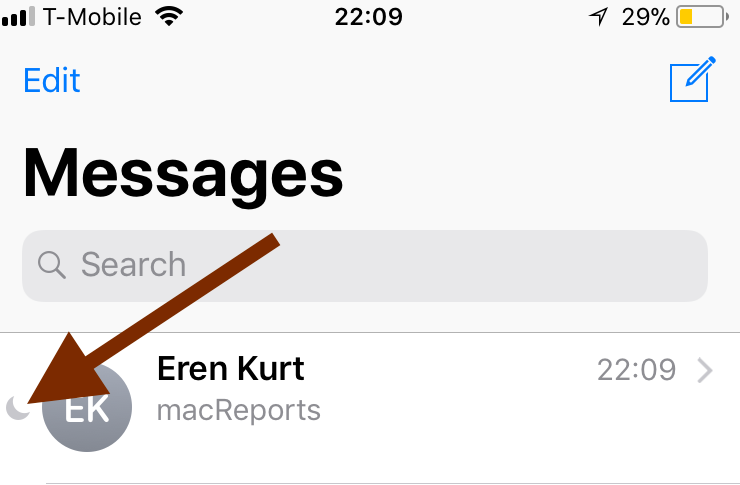 To fix that just drag the contact to the right a little to expose the moon icon and click it to turn DND off for that contact.